Gaming headsets are, to use an old cliché, a dime a dozen these days and finding one to suit your needs is a simple task. But, in an effort to provide consumers with yet another choice in the already crowded field. This headset, however, is a bit different from the rest. 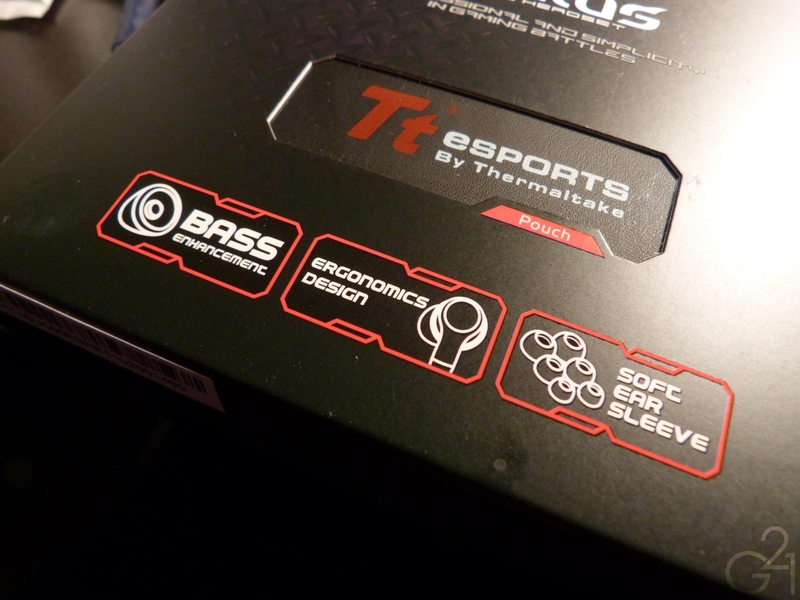 While the most popular headsets are usually circumaural, full size headphones, the Thermaltake Isurus features a half in ear design, monstrous 13.5mm dynamic drivers as well as a single, omnidirectional microphone for VOIP chats during games and it delivers this in a package that retails for about $30. So, does this gaming headset have the chops to stand up in this crowded PC gaming headset market? Read on to find out. Thermaltake spared no expense in crafting the packaging, which is quite impressive for a product that retails for only $30, featuring nice little touches such as the outer flap that seals shut by way of two magnets, the transparent inner window and the zip ties which make the packaging easy to open and attractive. Inside you’ll find the earphones, three sets of silicone ear cushions, a shirt clip, a very nice carrying pouch, warranty information and an adapter that allows you to connect the Isurus to a PC’s microphone in and headphone out ports. I’m very pleased with the amount of accessories Thermaltake provides in the package, especially considering the budget price. The housings of the Isurus are entirely plastic with long stems and no strain reliefs whatsoever. This is unfortunate, as the rather thin cable and entirely plastic build don’t exactly inspire confidence. 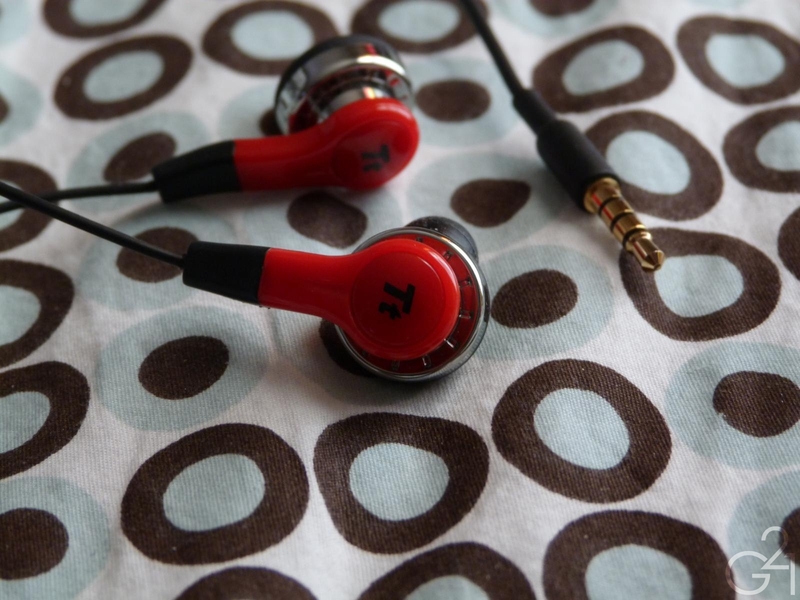 One feature of these earphones is the use of a J-cord rather than the traditional y shaped design. Now, this is a personal preference so take the following with a grain of salt but I don’t particularly care for J-cords. I guess wrapping the cable around the back of your neck and having the cable dangle mostly to one side can help during “intense” gaming sessions but I would still rather have the standard cable design. Serious gamers know firsthand that gaming sessions can last for hours and, as this is a gaming headset, you’re going to want the Isurus to be comfortable for the duration. Well, the half in-ear design fared well for the most part in my testing. The Isurus are fairly large and sit mostly within the user’s outer ear. This design is nothing I haven’t gotten used to and users of the standard and somewhat iconic Apple earbuds should be accustomed to this type of fit. But nonetheless, there are those among us who are a bit squeamish about shoving things into our ears and admittedly, the in-ear fit takes some getting used to. 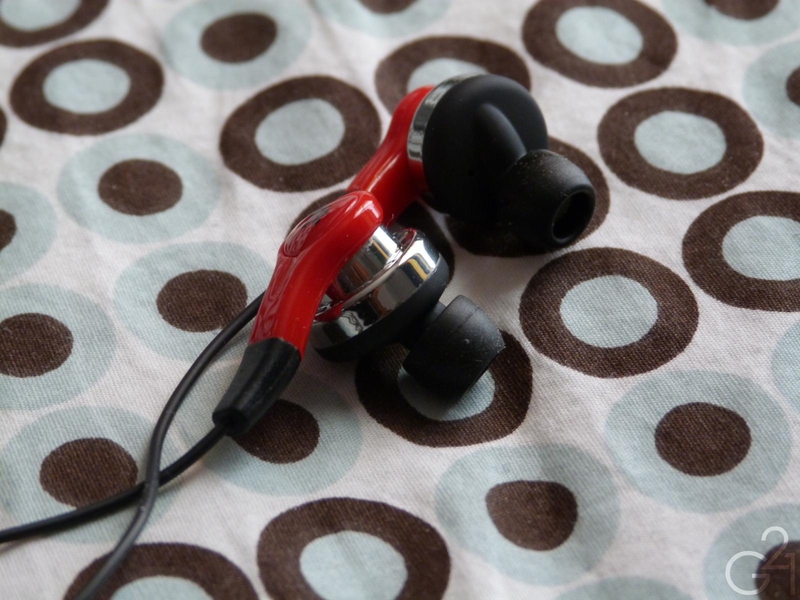 Once you get used to the fit, these are the kind of earphones that are mostly unobtrusive. In the heat of combat, you probably won’t even notice you have them on. I did notice a bit of discomfort in my outer ear after I removed the Isurus but only after fairly long listening sessions. But, I can’t speak for everyone in that regard because I have fairly large outer ear canals and larger IEMs like the Isurus as well as the Monoprice 8320 and Ultimate Ears Triple.Fi 10 are easily accommodated. I’m going to break this section into two distinct groups because these earphones are usable for gaming as well as music. Now, I haven’t listened to a large number of dedicated gaming headsets but I’ve used quite a few sets of headphones for gaming, from the fairly expensive open-air Sennheiser HD555 to the dirt cheap but still quite capable Koss KSC-75. For gaming, there’s nothing more important for any sound system to recreate than the sense of space around you and present you with properly realized directional cues. The Isurus does a good job of presenting a proper soundscape for the listener. I’ve tested the Isurus with a number of games including The Elder Scrolls V: Skyrim and Duke Nukem Forever (don’t ask) but Battlefield 3 is the game that gave these earphones the best workout. The Isurus does well with directional cues as I could hear someone sneaking up behind me while I laid prone in Battlefield 3, just before I had a meeting with the business end of that person’s knife, but I blame that on my inability to turn around quickly enough to stop it rather than the Isurus failing to deliver the information I needed. About what you’d expect from a headset like this. It’s alright, but it’s not going to outperform a dedicated microphone for this sort of thing. Given the portable nature of the headset though, it works well enough for gamers on the go. The Isurus has a somewhat V shaped sound signature, with plentiful bass and treble presence and recessed mids. Surprisingly, this sound signature works quite well for music (at least, to my tastes). The presentation is a bit on the thick side across the frequency range but it allows clarity to come through when it needs to. The presentation is fairly spacious with a wide soundstage and pretty good positioning (which you’d expect out of a gaming headset). Overall, I think they’re pretty good for music listening as well and you can certainly do a lot worse for $30 but you could also do better as well if you’re using these solely for music listening. For $30, this is a solid gaming headset that comes with a good assortment of accessories and performs rather well in practice with all of the games I tried it with. 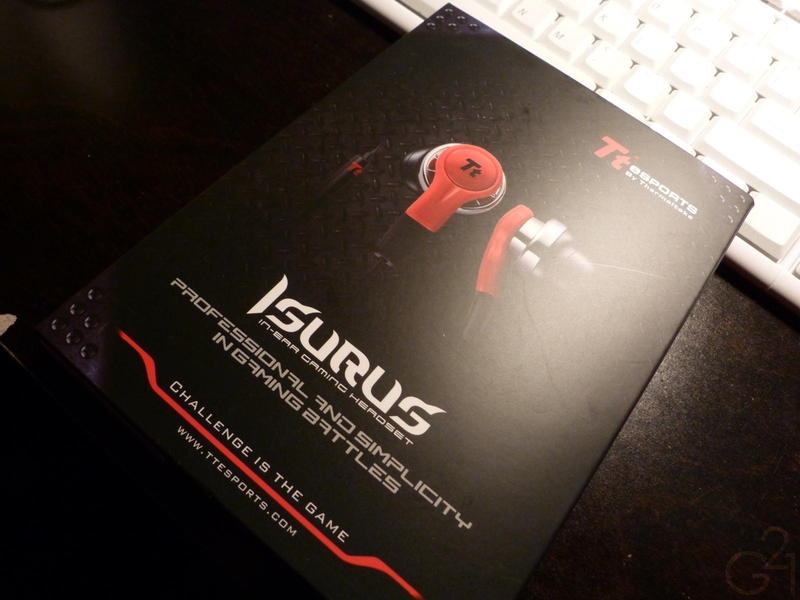 If you’re a fan of multiplayer shooters or just want a set of earphones that will give you a more immersive soundstage than a typical speaker set can provide, the Isurus is a pretty good choice. It’ll even perform quite well with music listening. If you’re looking for a cheaper alternative that doesn’t go in your ears, I think the Koss KSC-75 is a better pick but the Isurus can hold its own. Nonetheless, I like the Isurus for gaming. It doesn’t compare to the likes of my Sennheiser HD555s in terms of sound quality but I don’t expect it to either, considering the Isurus is a fraction of the cost. As I said before, it’s a solid entry into the gaming headset market and a fairly compelling one for the $30 asking price.